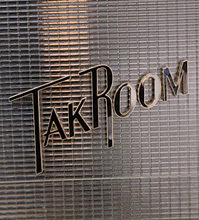 Chef Thomas Keller's Tak Room is offering a touch of glam to New York's dining scene. Think champagne carts and tableside service along with stunning Hudson River views. The Continental menu features a Classic Caesar, Iceberg Salad with Maytag Blue Cheese and Warm Soft Boiled Egg with Regiis Ova Ossetra Caviar. From the sea comes Sea Urchin, Maine Lobster and a Gulf Prawn Cocktail. Larger plates bring Filet Mignon, True Ribeye Steak and Wild Dover Sole Meuniere with sides ranging from buttermilk whipped potatoes to green beans amandine. Guests can also choose from a lengthy wine list with varying price points, champagnes and classic cocktails.